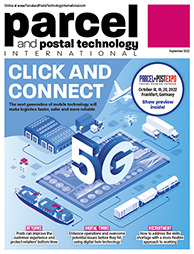 PARCEL+POST EXPO 2019 is being held in Hall 8 of the RAI Amsterdam, Netherlands. For more information on getting to the show, please visit the venue’s website. No time to hunt for excellent, affordable accommodation? PARCEL+POST EXPO 2019 offers you the opportunity to book directly through our official housing partner RAI Hotel Services, so you can find accommodation that meets your requirements and suits your budget with ease. Reserve your hotel online using RAI’s online reservation system (via booking.com). Just enter your arrival and departure dates and make your choice from a wide selection of hotels. We advise you to book as soon as possible to guarantee the finest accommodation and most affordable rates. Please download the RAI Group Booking Form (PDF) below and return it by email to hotelservices@rai.nl. A hotel consultant will then be in contact to assist you with your booking. Please note: RAI Hotel Services is the only official PARCEL+POST EXPO accommodation agency. Other agencies that contact you may be a scam.